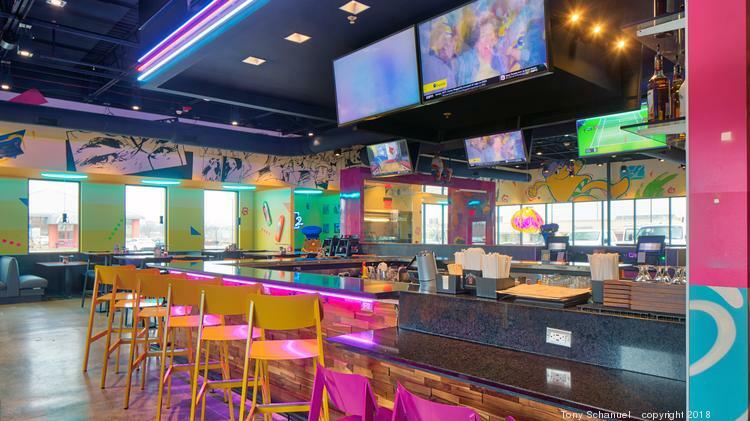 Atlanta-based pizza chain Mellow Mushroom has opened its second St. Louis-area location, this time at 4716 Mid Rivers Mall Dr. in St. Charles. The 5,400-square-foot location is owned and operated by franchisee Tammi Hilton, who invested about $3.5 million to build out the space. Knoebel Construction worked on the restaurant as general contractor, while Oculus served as the architect. Mellow Mushroom opens in St. Charles. The space features 1980s-inspired design elements and decor, colorful neon lights, graffiti art and whimsical sculptures, officials said. Hilton hired more than 100 employees prior to the opening of the restaurant. In 2016, Knoebel Construction built the area’s first Mellow Mushroom in Sunset Hills.